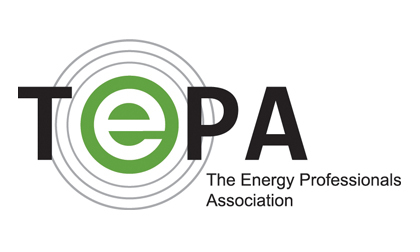 CHICAGO – August 9, 2018 – The Energy Professionals Association (TEPA), jointly with the Retail Energy Supply Association (RESA), announced today they filed comments with the Public Service Commission of Wisconsin regarding the state’s Draft Strategic Energy Assessment 2024 (“Draft SEA 2024”). The two organizations’ comments were filed on Monday, July 23, to urge the Commission to take the initial steps towards giving electricity consumers access to the benefits of a competitive market. According to the U.S. Energy Information Administration (EIA), Wisconsin electricity consumers, in all classes, pay among the highest prices in the Midwest region. The state has experienced the second highest percentage increase in overall (All-Sector) average electricity prices in the contiguous United States over the past two decades. Within the second highest All-Sector percentage increase performance, Wisconsin scored the highest percentage Residential class and Commercial Class increases. The organizations’ joint filing concluded with a recommendation that the Public Service Commission of Wisconsin initiate a discussion of regulatory reform that would provide a forum for stakeholders to address the market access for Wisconsin electricity consumers. It further urged the Commission to take initial steps toward giving electricity consumers access to the benefits of competitive markets. The Retail Energy Supply Association is a broad and diverse group of retail energy suppliers who share the common vision that competitive retail energy markets deliver a more efficient, customer-oriented outcome than a regulated utility structure. RESA is devoted to working with all stakeholders to promote vibrant and sustainable competitive retail energy markets for residential, commercial and industrial consumers. For more information visit www.resausa.org.